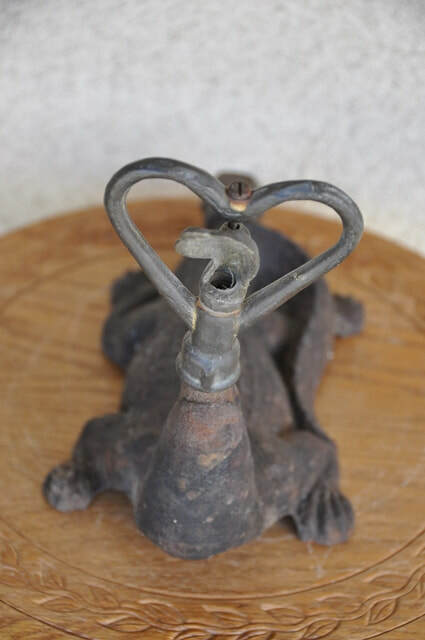 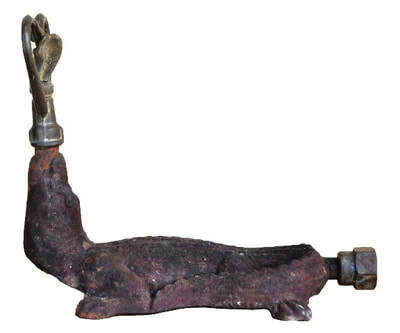 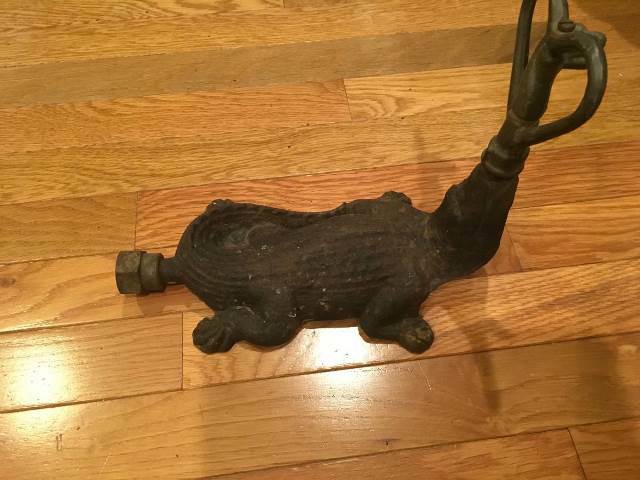 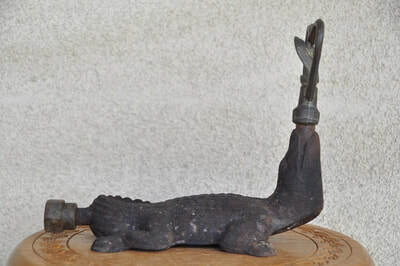 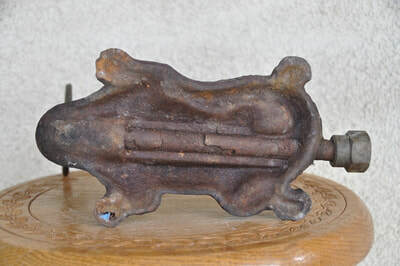 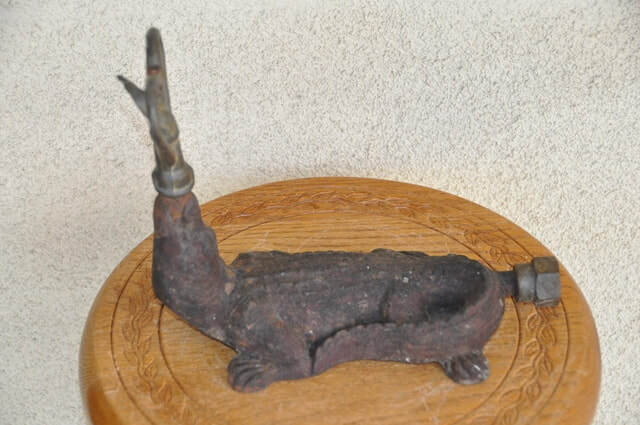 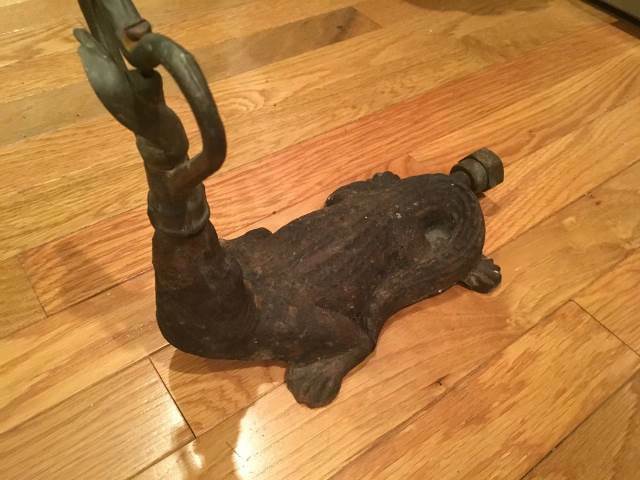 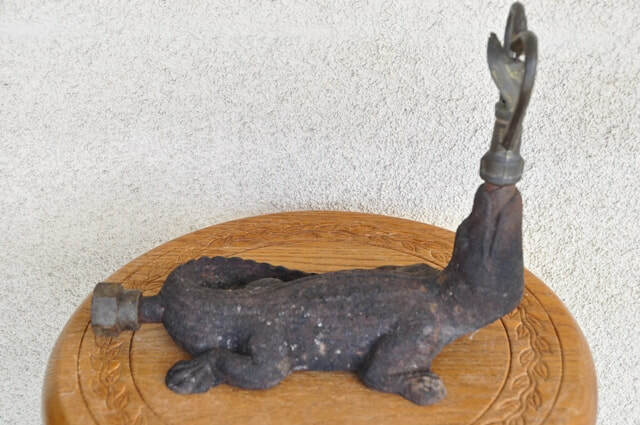 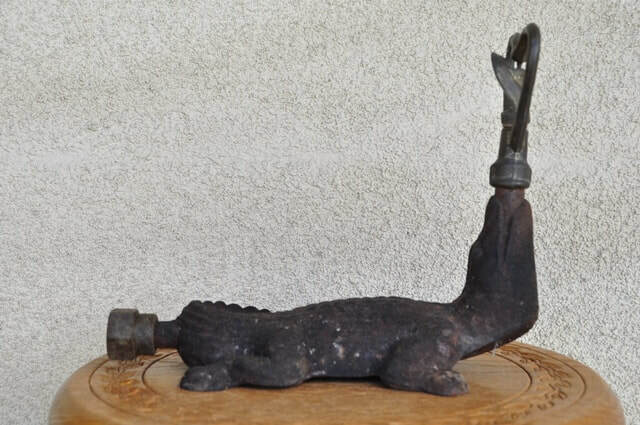 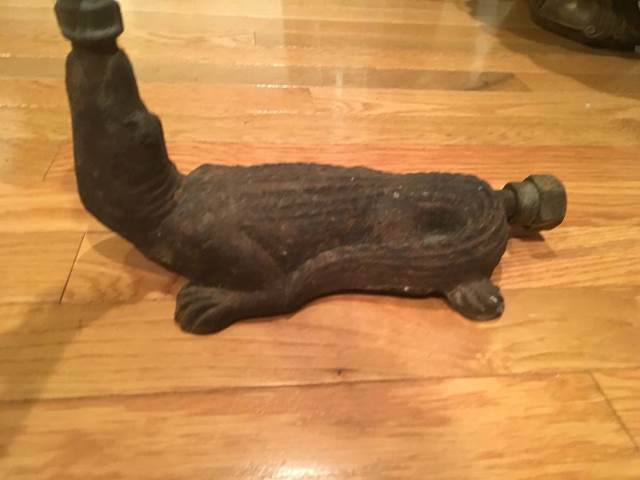 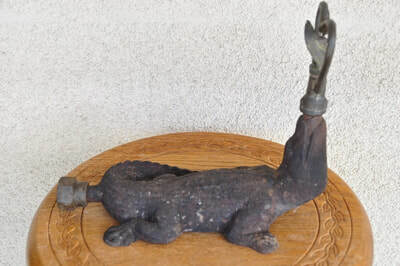 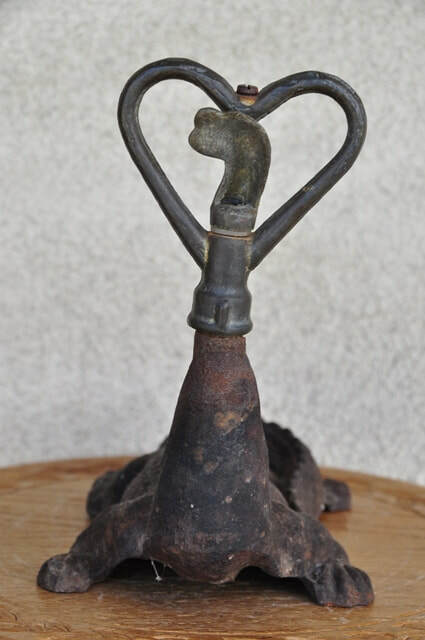 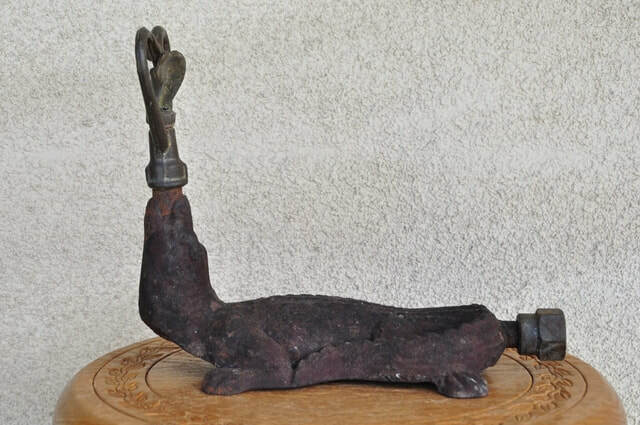 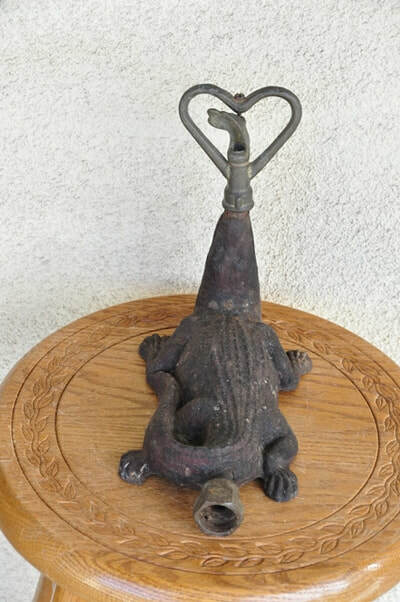 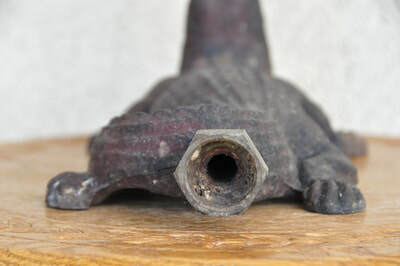 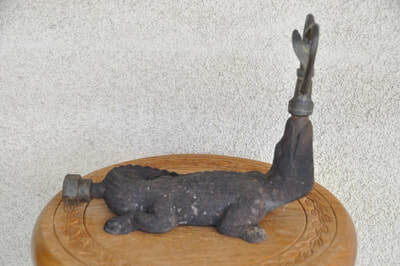 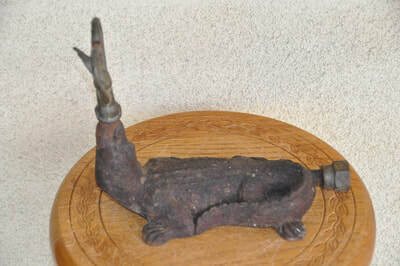 This is a collectible antique cast iron garden sprinkler in the form of an alligator. 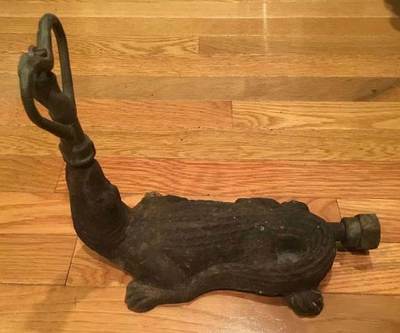 It is from the 1920's and is both ornamental and functional. 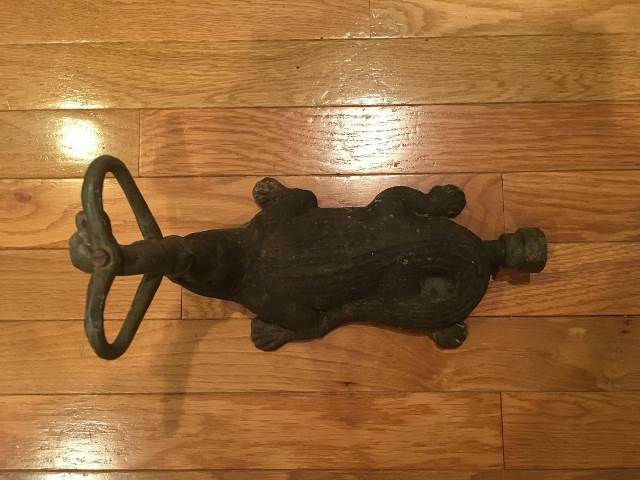 It is about 10" wide, 8-1/2" high and 5-1/2" deep.